Bedroom "Julia" from the furniture factory "Mizan". This model is a complete solution for furnishing a bedroom, including the entire set of necessary elements to successfully ensure a high level of comfort. 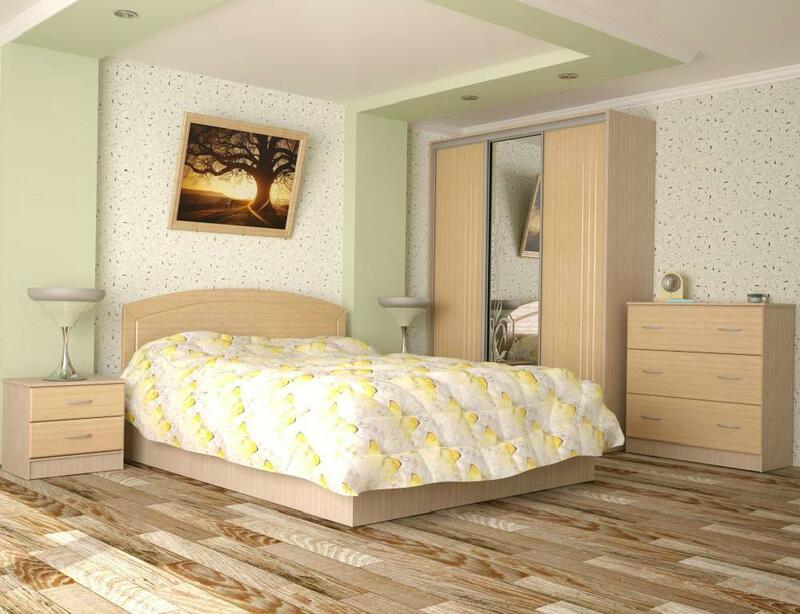 The bedroom frame is made of high quality, laminated chipboard 16 mm. The facade of the set is made of film MDF and has a wide color palette. Available case colors: white, sonoma oak light, sonoma oak truffle, milk oak, dark wenge, walnut, alder, apple tree.